AmberGen has developed and patented a novel class of photocleavable linkers (PC-Linkers™) and related methods that are helping to pioneer novel applications in the Life Sciences. Applications developed by AmberGen include photo-printing of microarrays, photocleavable mass-tags for coding ultra-high density bead-arrays and photocleavable affinity agents for biomarker purification. These reagents have been licensed for use with other companies’ products such as the SomaLogic® SOMAScan® multiplex proteomic biomarker assay. 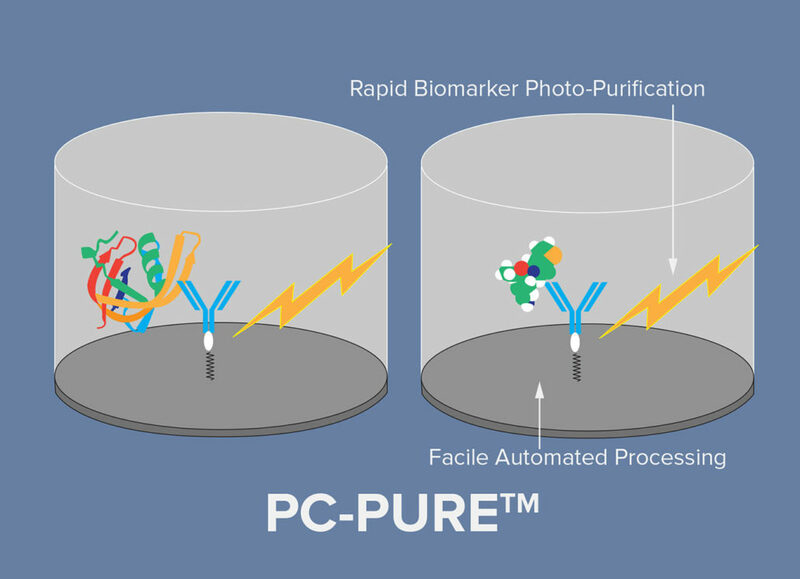 Trademarks: SomaLogic®, SOMAmer® and SOMAscan® are registered trademarks of SomaLogic, Inc.
AmberGen’s patented photo-affinity based biomarker purification technology (PC-PURE™) provides dramatic improvements in today’s newer generation of multiplex diagnostic assays by eliminating the matrix effect. 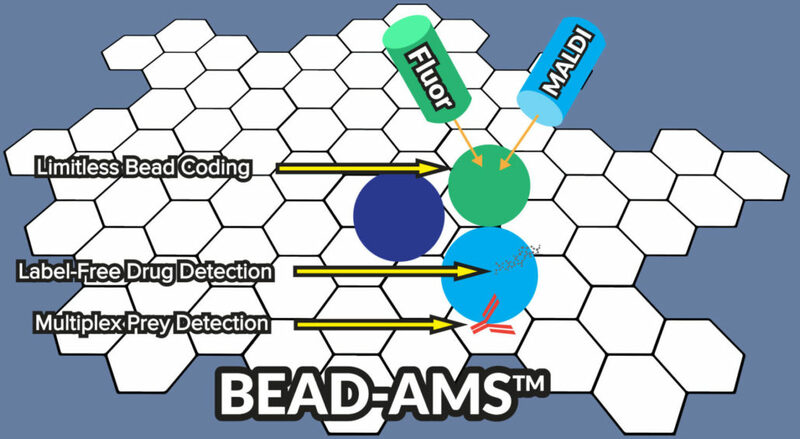 AmberGen has pioneered the new field of Bead Array Mass Spectrometry (Bead-AMS™) which uses bead microarrays and mass spectrometric imaging to provide superior array density and higher fidelity information compared to traditional fluorescence microarrays. Key applications include proteomics as well as biomarker, label-free drug and drug-target discovery.